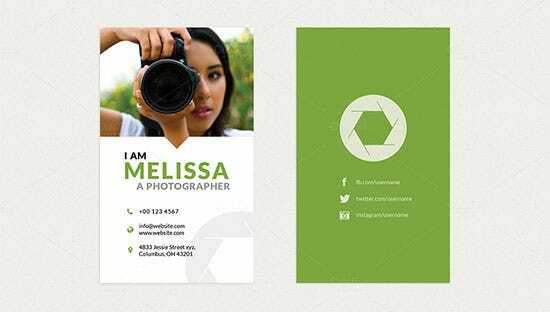 If you are professional photographer, you would obviously want your potential customers to know about you through different forms of advertising. 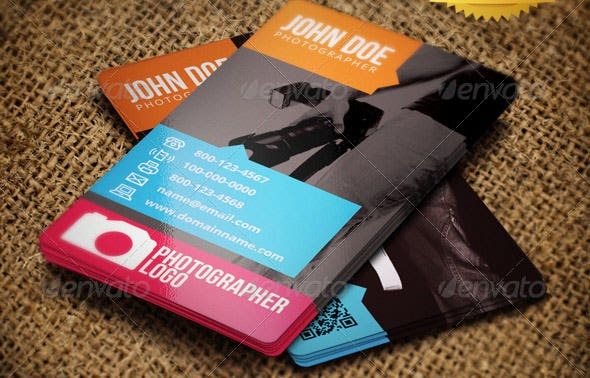 One of the oldest and most reliable way to spread your business to the world is to make use of business cards. 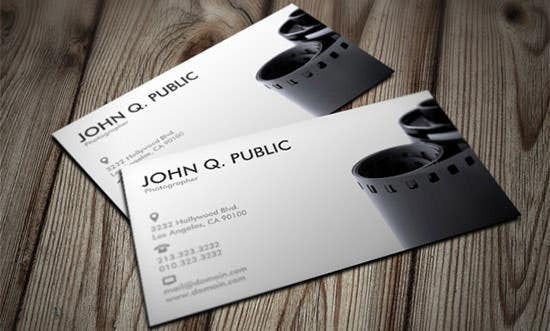 Business cards will not help you in finding work but also a very great way to introduce yourself. 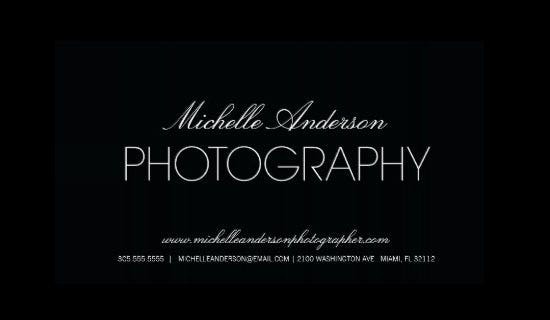 Quite often it may happen so that be snapping a wonderful photo and you may surrounded by someone who may be interested in knowing you and the services you offer. 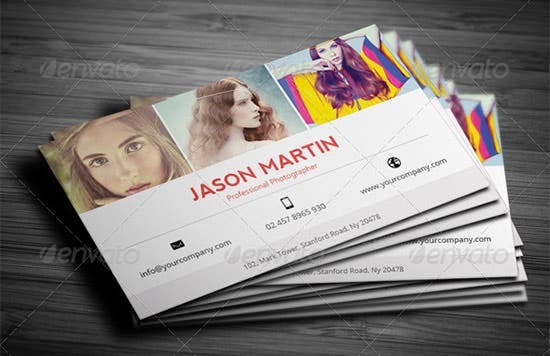 At such scenarios, a professionally designed business card can truly help in introducing you and your business. 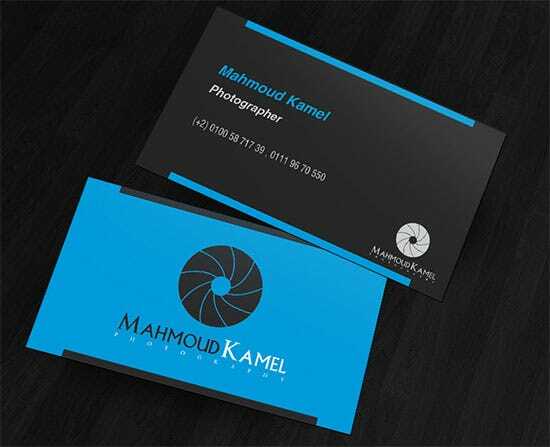 This is an easy to customize and edit business card template design for professional photographers which are available in PSD file. 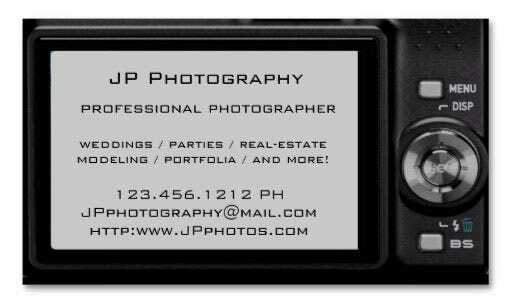 It has small objects and is print ready. 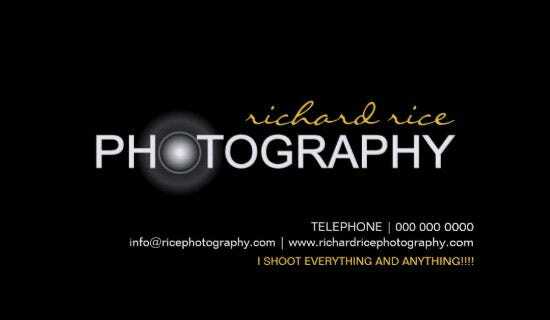 Need make an impact? 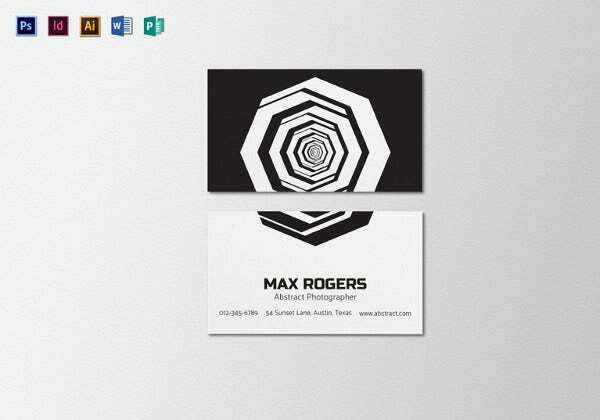 This is the design you need—perfect for studios and freelancers both, this template has colors black, orange, and white. 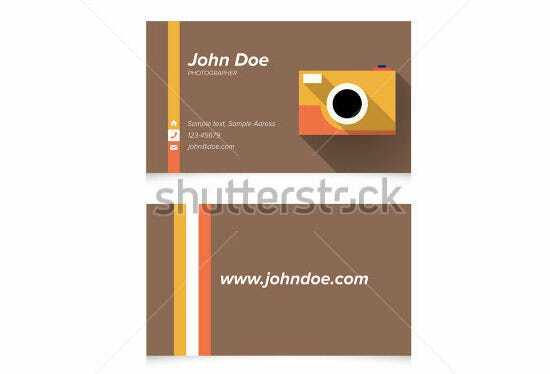 It has clean layout and dimensions 3.5” x 2”. 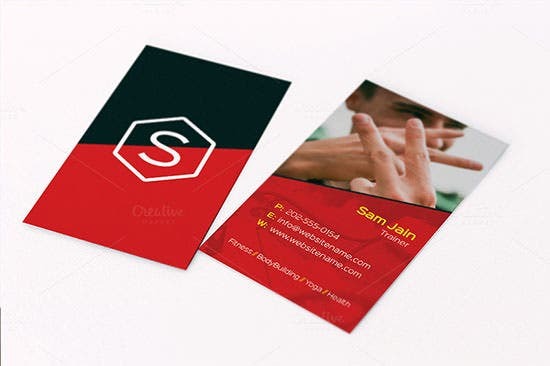 This is a double sided card and has a very eye-catching design. 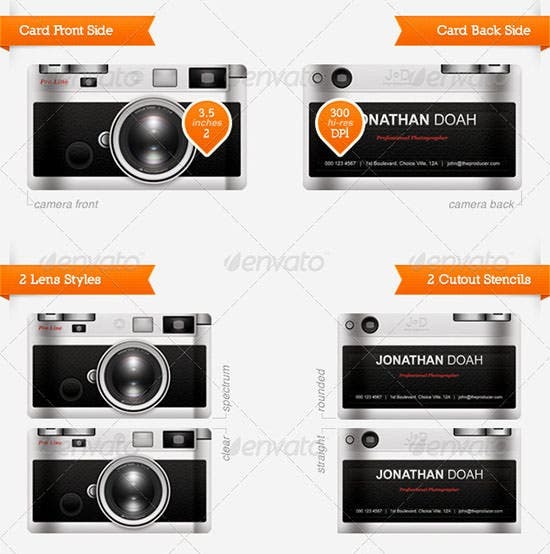 It is available as fully layered PSD and is very easy to customize. 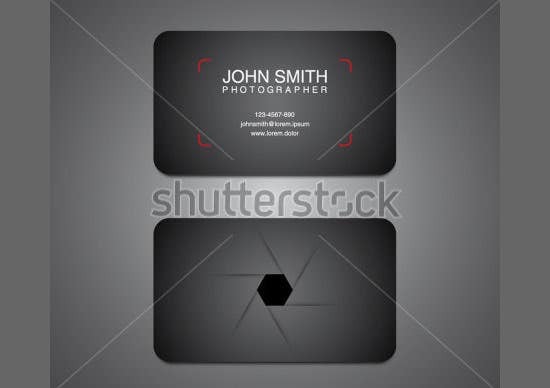 The dimensions are same as above. 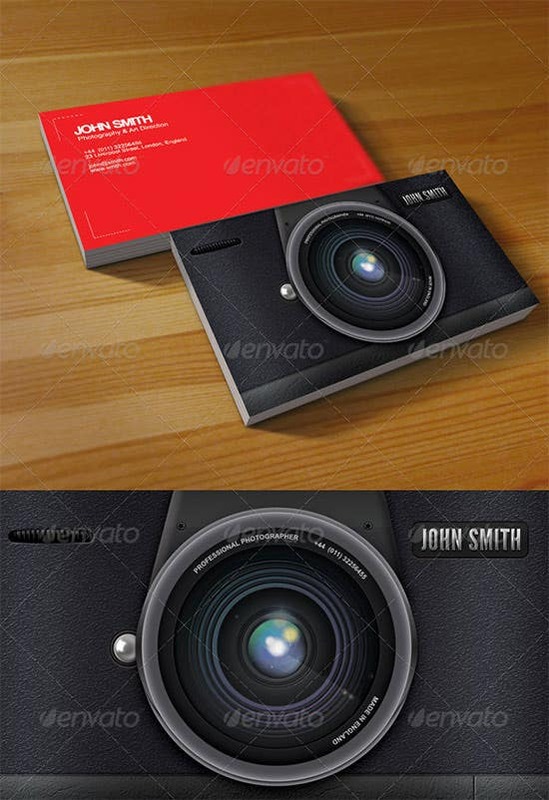 Another masterpiece, this design has a camera in the front and the details of the photographer on the back. 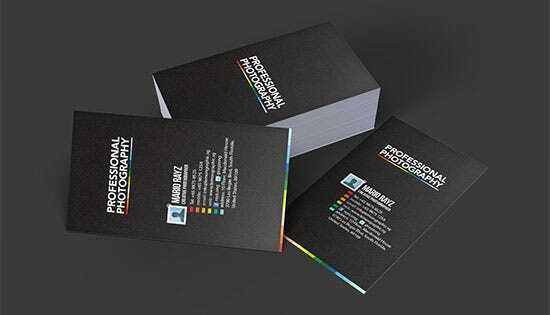 It is available in 300 DPI resolutions and in CMYK. 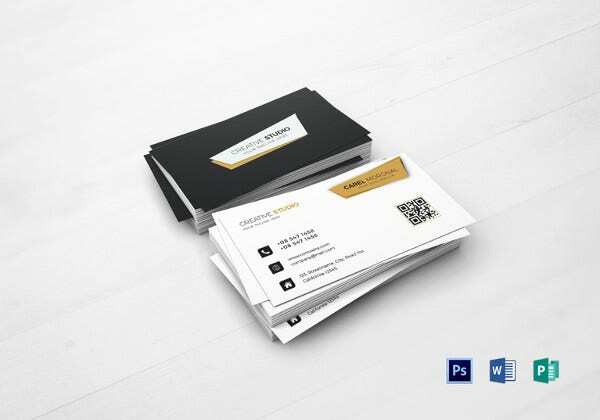 A beautiful business card, this design offers a lot of space for giving all your detail and no just name and contact information. 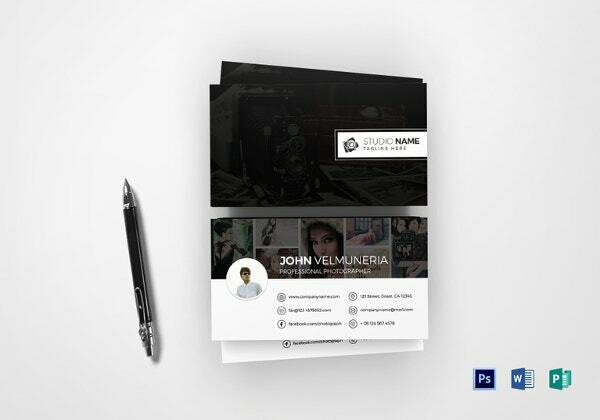 You can even give your social network profile links if you want. 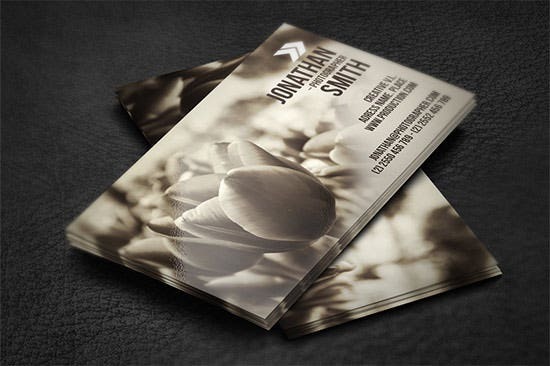 This too is available in the shades of black and white and is a print ready design. 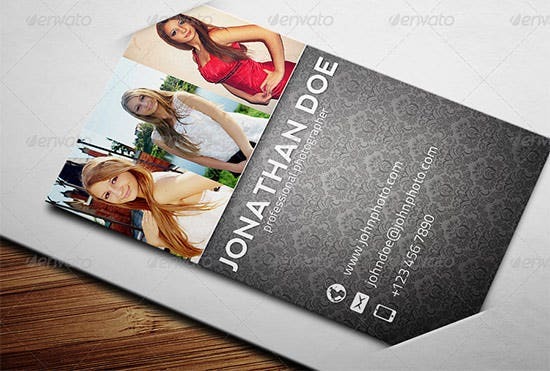 It is fully customizable in terms of color and the text can also be edited completely. 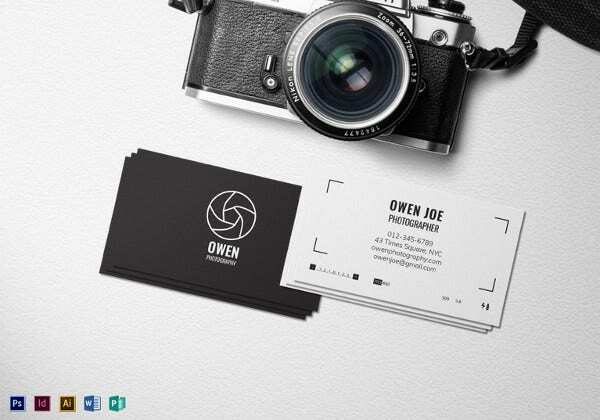 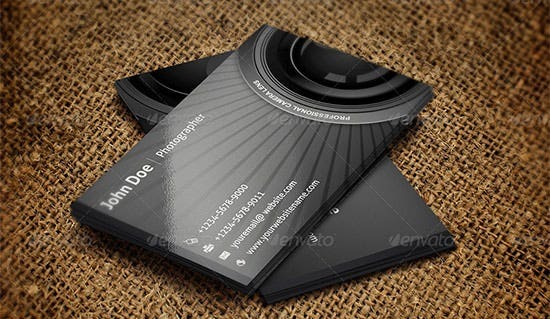 Clean and fresh look business card template design for professional photographers, this design can also be used by architects and real estate firms. 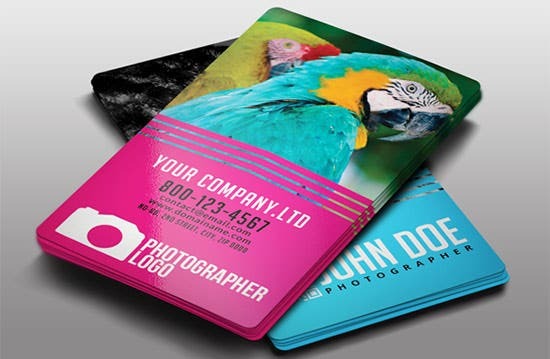 There are 4 color options and the layout can be customized. 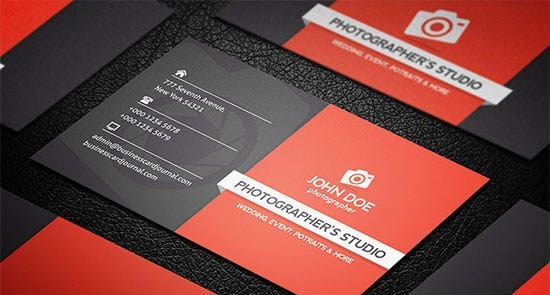 Attractive and professional, this card would surely make you stand out of the crowd. 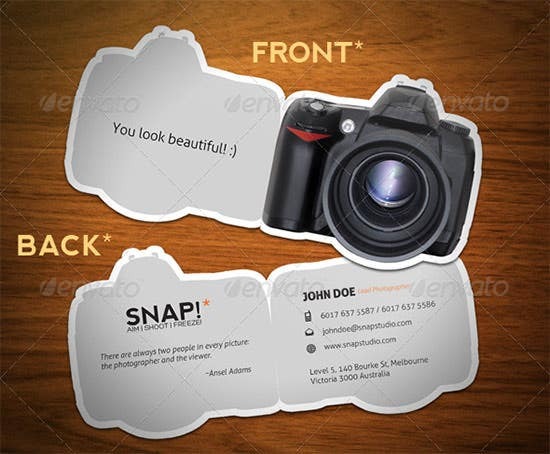 You can upload your logo, photo, work images or anything else. 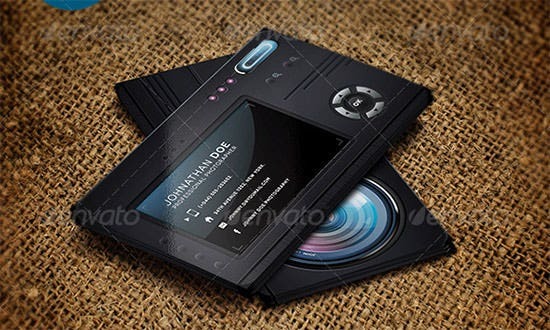 Customization is very easy. 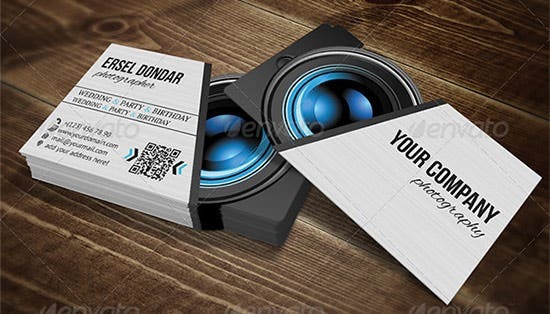 Available in the dimensions 2” x 3.5” and 3.5” x 2” as well, these cards are available in the choice of two colors—black and white. 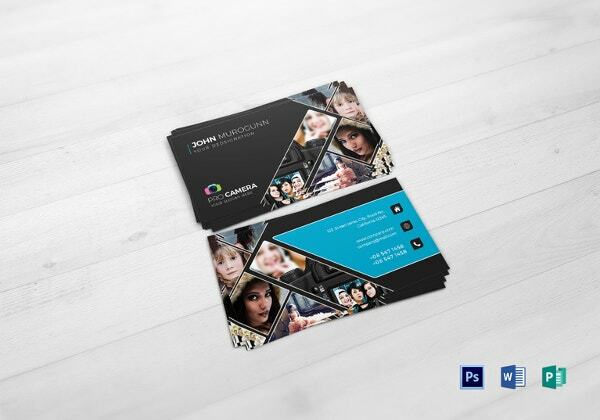 It has a highly professional design and is fully editable. 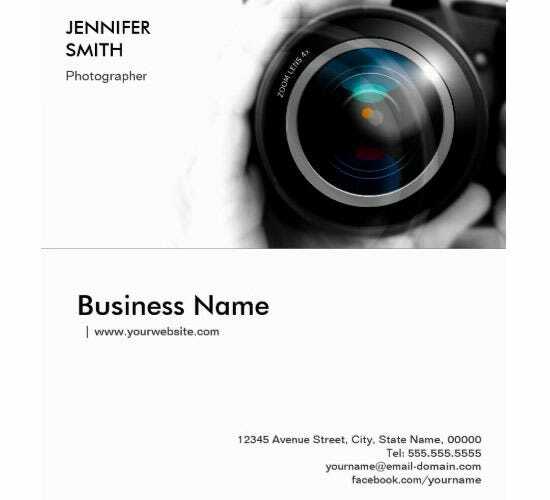 This is yet another fully editable business card template that you can opt for. 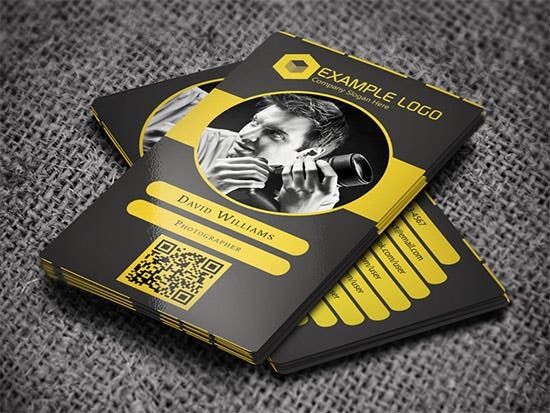 It has an elegant design and is available in ready-to-print files. 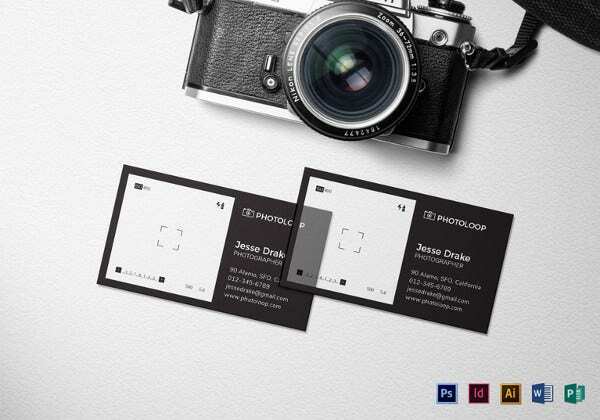 An amazing design, this business card is perfect for not only professional photographers but people in other fields too. 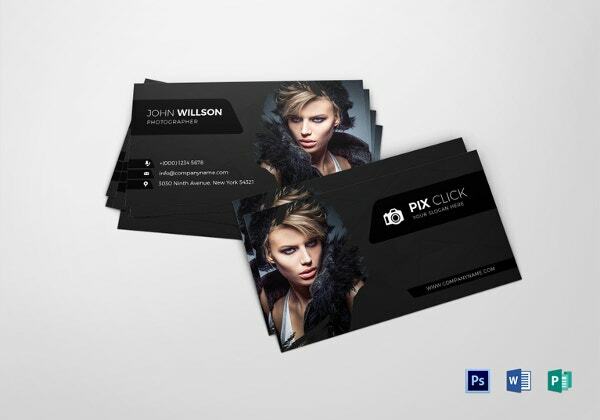 The resolution is 300 DPI and is available in print-ready files. 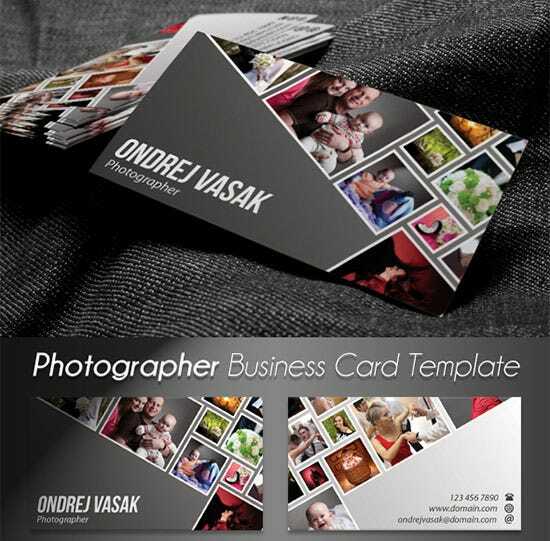 Want to show off your work on your business card? 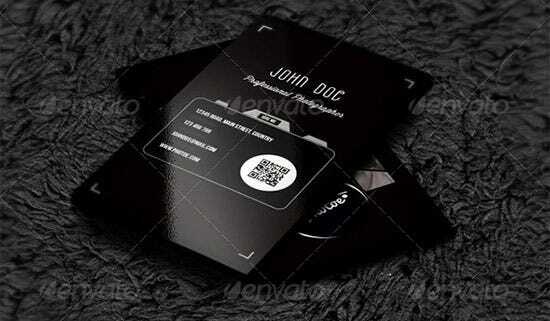 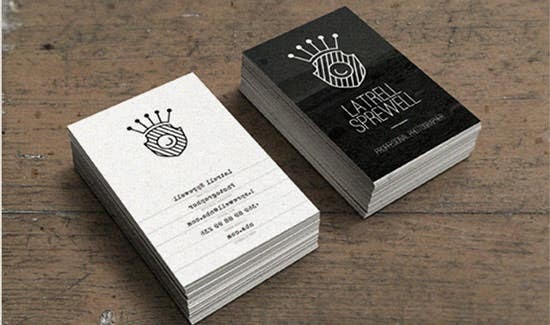 This business card template design is what you should go for. 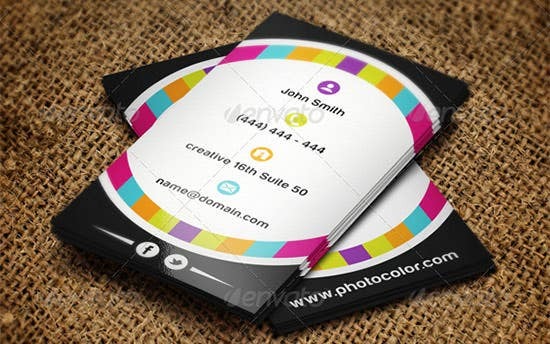 It is colorful and yet has a professional and clean look. 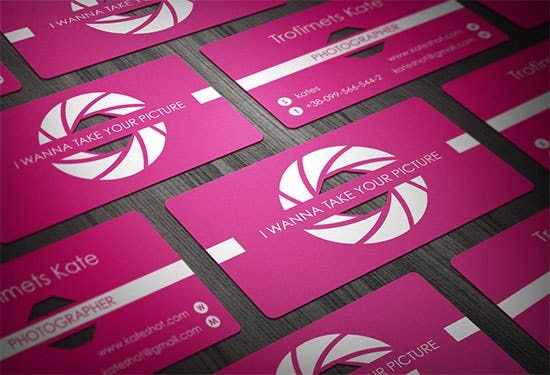 Available in the color pink, this template has a very unique design. 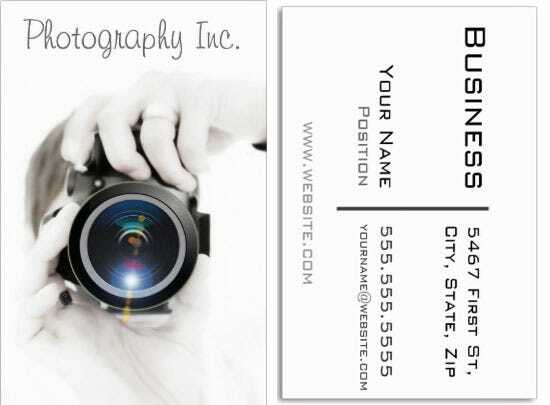 Photographer information needs to be given on the back and the front has ‘I wanna take your picture’ text. 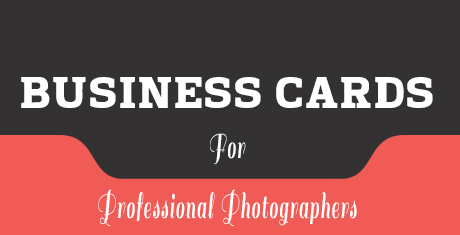 When you want to make a business card for your photography business, you need to think about the people who would like to hire you. 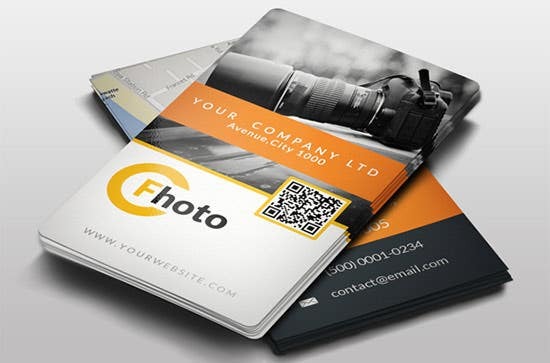 Business cards can also be used to show what sort of photos you take.You can add one or two of your best photos that may captivate the people who receive your business cards. 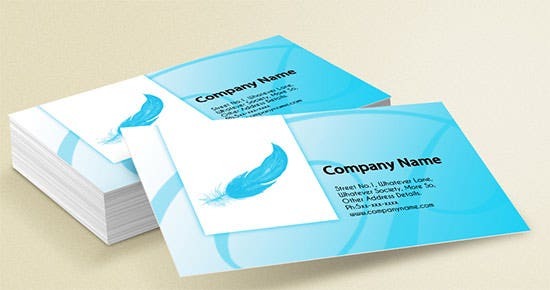 The fonts that you use on your business cards should be something that should easily allow the recipients to read the kind your name, your business name and the services you offer. 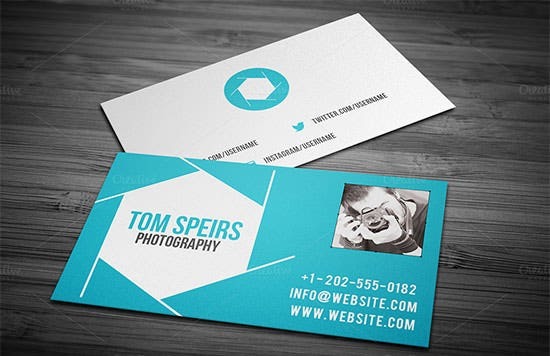 If you are an expert photographer, you do not need to hire a professional design to create business cards for you. 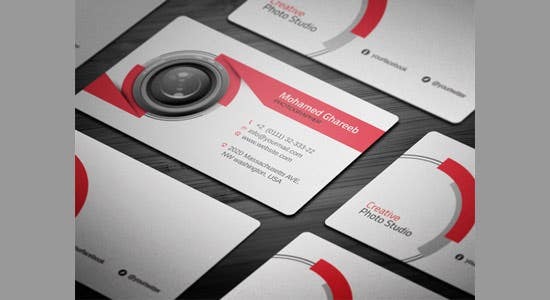 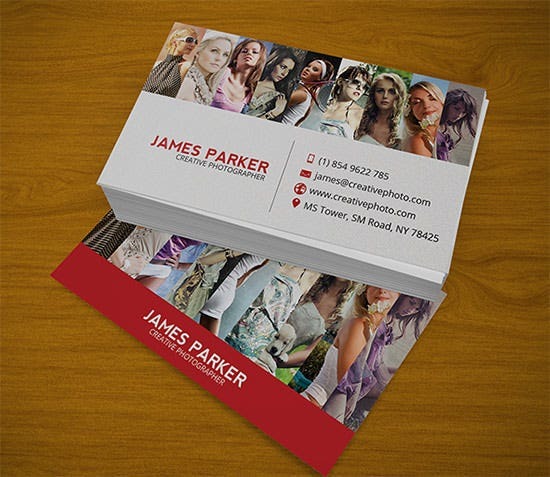 There are numerous premade designs of business cards for professional photographers that can be easily edited by a novice and printed to create remarkable business cards. 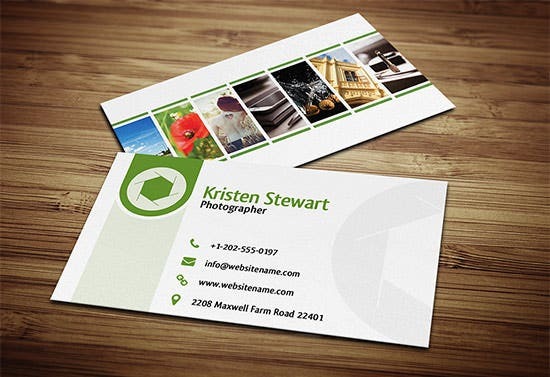 Business cards are essential for networking and for finding work. 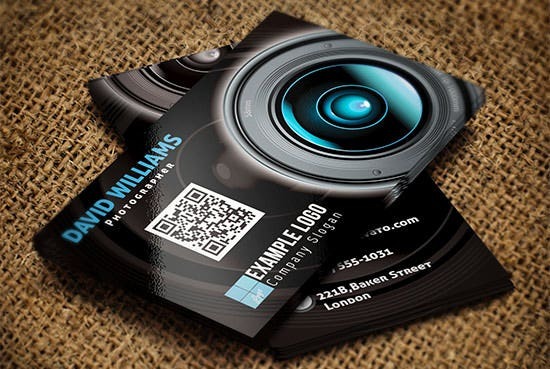 It is important that your business card looks different from the rest and has a professional design. 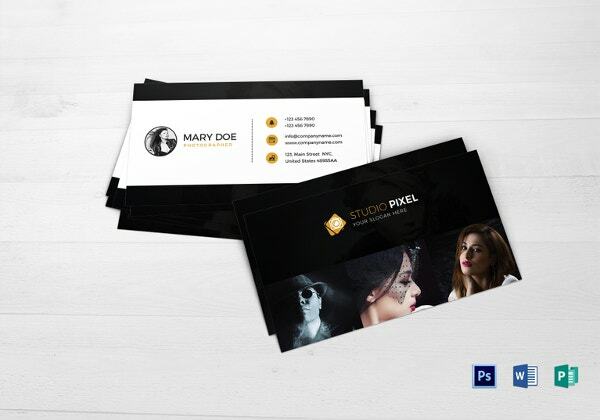 Choose one from the above to make an impact.